Count down to the (unreasonably early) Xmas party begins! In the words on the great Noddy Holder “it’s CHRIIIIIIIIIIIIIISTTTTTTTTTMMMMMMMMMMAAASSSSSSS’. Except it isn’t. Not really, but due to a jam packed calendar of Lindy Hop events up north, we’re doing our version a week earlier than usual. Flash sale now on! Tickets only £5 via Dancefly.com until midnight Wednesday 23rd November. PLEASE BRING A DONATION FOR STRETFORD FOODBANK! We’re incredibly excited to announce that this year’s Manchester Lindy Xmas party will feature Birmingham’s swingiest musical outfit, Martyn Nelson and the Rhythm Remedies! We’re returning to our favourite dance floor for an evening of ‘bring your own booze’ fuelled festive shenanigans. Plus! Charity cake sale in aid of NUV-HOP – http://nuvhop.weebly.com please bring along some baking to donate, and /or some cash to buy something tasty – this year’s charity has been nominated by Evie H – we’ll be donating all proceeds from the bake sale to Manchester Medical School students who will use it to fund their voluntary work, providing medical services to people in Uganda. Come and Swing Out with Martyn Nelson and the Rhythm Remedies on 27th November and help raise funds for our two nominated good causes. Yes, yes. It’s a Sunday. 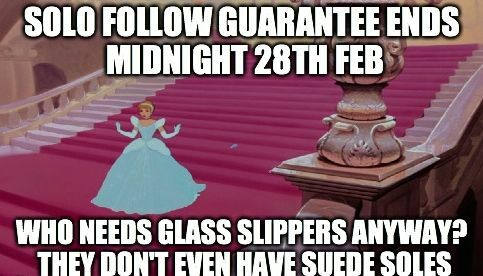 Yes, we know some of you have to get up for work the next day, that’s why we are ending the main party at the civilised time of 9pm. And yes, we know some of you *don’t* have to get up for work on a Monday and definitely don’t *want* to go home at 9pm, so we’ve booked a second venue, The Robin Hood, a mere stumble across a car park away, for a bit of an after party. Entrance to the after party is included in the ticket price but we ask you to register your intent to attend in advance. Entrance to the after party is limited so spaces will be allocated on a first-come-first-served basis. This is currently full but we will do our best to reassign places should they become available. Party 2: The Robin Hood, Stretford (nearest tram stop, Stretford, Altrincham line) 9pm onwards. One of the great things about Dan’s blog (a real-time report on being a new dancer) is how it’s making us old dancers think about things in a new way. It reminds me of a parent pointing out a field of cows to a toddler, it’s no longer just a field of cows, it’s COWS! LOOK! COWS! Lots of COWS! Anyway, that digression aside, here is a whole bunch of thoughts that came about due to Dan’s Week 9 questions, thought by me, Paula. Essentially, all of Dan’s questions take us meandering off down the same road, so rather than answering them in the order they were posed, I’m going to witter on in the way that makes the most sense, to me anyway. I’ve embedded the most important video illustrations, and the bold words are links to further videos or extra info (as if this 3,500 word essay isn’t enough)! Why does Jazz start on the 8 and Lindy Hop on the 1? Let me preface this with a disclaimer – modern Lindy Hoppers are incredibly fortunate that many of the original top dancers from the 30’s and 40’s lived long and healthy lives (probably not a coincidence, dancing is great for a person, mind, body and soul) and this, combined with some incredible community historians, such as Peter Loggins and Bobby White, and some wonderfully committed and motivated dancers worldwide has given us a huge pool of knowledge to draw on. Nonetheless, finding answers to specific questions can be still rather difficult, mostly due to the maddening answers that our beloved, much treasured old timers have given us – for example, when asked about specific musical counts for steps and patterns, Norma Miller is credited with the perfect (yet entirely non-satisfactory) answer, “The only Count I know is Basie“. So, the following is a mish-mash of partial secondhand knowledge and partial idle thought, filtered through the mind of a garish tattooed lady, sprinkled with love and respect for a dance that has been a part of my life for more than a decade, and a part of dance life for more than 8 decades. Think of it, as is best with most vernacular subjects, as philosophy rather than fact. Let’s start with what Jazz music actually is, or at least, what it was when our beloved dance was born. This in itself is actually quite a hard task, and again, Wikipedia doesn’t help much: Jazz. Still, we’ve got to start somewhere, and here will do. We can disregard the bebop bit, and the freeform stuff that comes after (even the most musical of dancers will be challenged to dance to THAT!) but from NOLA through the big band era, the music informed and inspired the dance (and indeed the dancers informed and inspired the musicians, too). The words (and their associated movements) in capital letters are actually a way of communicating Jazz syncopation – the emphasis is on the “back beat”, aka the “down beat” (when a band’s conductor would swipe their baton downwards) aka the “even numbers”. The tri-ple illustrates (in body movement and words) the way “Swung” notes are “tied” together. So it’s the musical elements of Jazz syncopation and Swung rhythm that make up the Lindy hop basic step and that’s why the sound of Swing music and the basic step fit together so well. The dance steps are the physical manifestation of the music. I actually love this dude’s dancing and have spent quite a bit of time watching his videos – he dances to current music, including some Electro Swing, he even uses elements of Solo Charleston – but what he does isn’t Charleston, and in fact he’s given what he does a new, specific name, “Criming”. He’s incredibly hypnotic to watch, and I truly adore what he does, but he is also a very good argument against the inclusion of Electro Swing on the Manchester Lindy playlist – and perhaps also a very good argument to get out of my fogie-shaped rut and go to an Electro Swing night sometime? When one plays music to emphasise the opposite, the up beat (on-beat, or the odd numbers) you get a completely different feel, it’s more upright, less laid back, and definitely not Jazz (check out some Polka music and Polka dancers for an example). When we clap along to a Jam circle, we also do it on the even numbers, because we are further emphasing the important part of the Jazz rhythm. Remember, friends don’t let friends clap on 1 and 3! So, why do we start Jazz on the 8 and Lindy on the 1? Well, authentic Jazz shares it roots with rhythm Tap dance – and Tap dance is essentially complicated clapping with your feet – tapping to swing music emphasises the back beat because again it emphasises the laid back nature of Jazz music. The most obvious way to do this is to start on the last beat of the intro, the 8 – and that’s what we do in most Jazz choreography – we learned this from the classic routines, like the Big Apple and the Tranky Doo, passed onto us by the old timers, and we generally continue that tradition when we choreograph today. The music we dance to is in 4/4 time so as Lindy Hoppers we take two of those groups of 4 and add them together to come up with our 8 beat basic (i.e., the Swing Out, the defining step of Lindy Hop). Musicians often freak out about the 6 count basic when they start learning to dance because it doesn’t seem to fit, but just add enough of them together until it becomes divisible by 8 (6×4 =24 8×4=24) and you’ll be ready to start on the 1 again – yes you’ll be triple stepping and step-stepping in the “wrong” places, but that’s easy to solve – just stop thinking about it in terms of right places and wrong places and in fact, forget about the 6’s and 8’s too – total anarchy! But we’ll not stop thinking and we’ll not stop counting, we’ll just make the maths as easy as possible and start thinking of EVERYTHING as groups of two beats, with the emphasis back beat (the evens). So we can start anywhere, really, and the original dancers probably did prep on 7 to start on 8, at least some of the time, but they were dancing almost exclusively to LIVE music, and the dance was new and had no habits or convention. However, because social dancing is team work (all be it a small team of two) and we want to be able to dance with as many other people as possible, regardless of where they learned to dance, and because we need to give beginners some kind of structure, and because we started to teach Lindy Hop in a dance studio/classroom environment in the 1980s (when the original dancers were located and persuaded to pass on their knowledge by interested dancers from a number of disciplines, dancers that had learned in studio based backgrounds) we started to arrange these groups of two into patterns of 6’s and 8’s (and less commonly, 10’s, 12’s and even 7’s). If you are going to start a pattern that takes 8 beats to complete, and you are introducing it to a beginner, or lots of beginners, it’s simply more efficient to start on beat 1 and end on beat 8. The alternative, starting on the 8, could still be taught (and as an example, a Lindy Turn, or Swing Out would be ‘step, rock-step, tri-ple step, step-step, tri-ple’) but a) it makes my head hurt and b) we’d all topple over after ‘tri-ple’. Both Jazz and Lindy Hop emphasise the same musical beats (the even numbers) but for ease of teaching we made Lindy Hop patterns start on the 1. Jazz still starts on the 8, because it is most often taught as choreography. I finished typing this bit with a giant grin, easily mistaken for a grimace. I’m not sure if there IS an appropriate emoticon, I’ll leave you to imagine it. So what is ‘musicality?’ well, it’s the ability to interpret the music you are hearing and give it physical form through your movement, and emphasising the back beat is one of the surest forms of doing this, when dancing to Swing music. Musicality is one of the skills that separates good dancers from great dancers and it comes very easily to some people, and others have to work very hard at it. Some people will never really get it, but will learn to fake it pretty well. Others will find they get lots of Lindy enjoyment without it, and won’t mind too much if they never get it. The great thing about Lindy Hop is there is space for all comers! Pretty impressive, I’m sure you’ll agree! Choreography has always been a part of Lindy Hop, and this is reflected in the most often-used competitive categories today, which go from as close to random as you can get, to the absolutely rehearsed (although how much choreography is too much choreography is yet to be decided, search the internet for improvrespect for a recent debate and read about competitive divisions at the biggest event of the Lindy Hop year here) but (and I believe this is a paraphrase of another old timer quote, but 20 minutes of questioning Uncle Google have been fruitless) the best Lindy Hoppers make choreographed routines look as spontaneous as social dancing, and social dancing look as seamless as choreography. So how do we develop musicality skills that enable our social dancing to look as seamless as choreography? Well again, we’ve established some short cuts to help with teaching musicality skills (and faking them), so here’s a few that newer dancers will come across in classes, and some that can be done at home too. (12 bar form, aka “Call and Response”- which lends itself well to 6 count patterns – see a web slide show on both over here). Learning how these structures work is one of the best ways to appear musical, even if you aren’t. Something that may particularly appeal to Followers in the early days (and Leaders a bit later, after they’ve found THE ONE and learned how musical structure works) is identifying the tone of the song. Try listening to a bunch of songs at home, and giving each one a descriptive word, or group of words. Is it happy? Subdued? Smooth? Bouncy? Wild? Languorous? Miserable? Can you dance in a way that fits the same descriptors? Try it out! Or how about identifying your favourite instruments and seeing how you can fit your movements to those? When I’m leading, I tend to be most inspired by the drums, bass and if there is one, the tuba. When following, I LOVE the clarinet, and am more likely to respond to the vocal. The trumpet tends to make me misbehave regardless of the role I’m dancing! One fairly sure-fire way to hone your musicality skills is through solo movement, and in fact, it’s one of the biggest drivers we have for offering Jazz, Charleston and other associated solo stuff from day 1 (other similar dance groups don’t tend to prioritise Jazz to the extent that we do). It’s a bit of a trope that ‘Solo Jazz makes you a better Lindy Hopper’ and we rarely go into why that is – I know for me, the main benefit has been to my timing and rhythm i.e. my musicality (and of course, it also helps with shapes and lines too). This rather neatly bring us around to the subject of Breaks, and what they actually ARE – like most topics in swing dance, there is a dance definition of break and a music definition of break and they may or may not be closely related. In dance terms (and I certainly have more dance-knowledge than I have music knowledge) I presume the Jazz break (often first encountered as the Full Break and Half Break (I recognise those feet!) versions in the Shim Sham, although there are other break varieties in the Big Apple and the Tranky Doo, too) comes from Tap dance. Time Steps are one of the defining elements of Tap dance – they come in a variety of types, single, double, triple etc. and they all follow the same structure, one thing happens a bunch of times (usually alternating on the right and left feet) and then something else happens. The something else is referred to as a ‘break’. The classic Jazz routines take a mostly similar structure – something happens a few times (usually to sets of 8 counts) and then something else happens (to one set of 8 counts, or perhaps to seven counts with a pause, to reflect the music). In terms of non-choreographed dancing, whether that be solo or partnered, the aim is to figure out when something different is going to happen in the music, and reflect it in your movement. This is the phenomenon known as ‘hitting the break’. What the break actually is and where it falls, is up to you to decide – sometimes it’s obvious, like a dead stop, or an almost dead stop (a famous song for this is Watch The Birdie) and sometimes it falls neatly into the musical structures described above – but it may be something much more subtle, and if you are dancing with a partner, you might not necessarily identify the same ‘break’. This is not a problem and although in the earlier dancing days, the Follower may be looking to the Leader to identify a break for the both of them, later on, the Leader may well find the Follower’s movements indicate a break is about to happen and the Leader can respond to that indication – this is one of the many skills in partner dance that is summed up by the idea of it being a physical conversation between two people, rather than a one sided lecture from the Leader. As to whether it’s too early to be asking these questions? Yes! No! Maybe! And perhaps, all of the above? Lindy Hop and its relatives are wonderful dances because you can dabble in them just enough to have fun for a short period, or totally geek out for a lifetime – whether it’s too early or not probably depends on where you will fall on the spectrum – some folk won’t ask these questions at all (they are probably still trying to find that tricky, elusive ‘1’) and that is perfectly OK.
Did you miss our latest email newsletter? Or maybe you deleted it without reading it and now you’re sad and unable to undo that rash decision? No problem! A weekend workshop with super-duper-super-stars, Hasse and Marie! Please read our little PDF booklet for all information. Click these bold words for the Hasse and Marie Schedule PDF! Not got a ticket yet? We can squeeze one more couple and two solo leads onto our Level 2-3 workshop (Saturday) and two solo leads onto our level 4 and beyond workshop (Sunday). Everyone is welcome to come along to the social too – it’s free if you are attending the workshop and £8 (online) if you aren’t. You can pick up a cash ticket at the discounted price of £5 at Manchester Lindy’s regular Tuesday social, but we won’t be offering cash tickets on the door, (we’ll be too busy dancing). MCRLX news and MORE JAZZ! 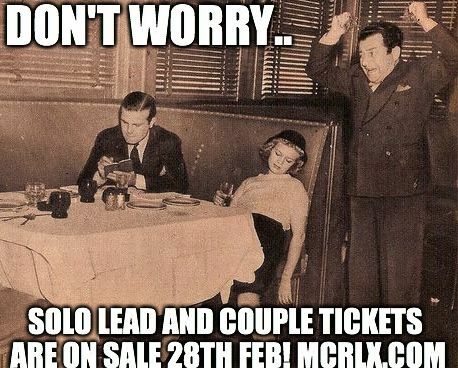 Solo Follow tickets for MCRLX are still available (£50 0nline) but the GUARANTEED PLACE offer ends at ONE MINUTE TO MIDNIGHT on the 28th of February (Saturday night)! Don’t miss out on your Early Bird saving – buy in the next 19 hours! Solo Lead (£50) and Couple (£100) tickets go ON SALE ONLINE FOR THE FIRST TIME on Saturday 28th February at 11am! Couple tickets are likely to be extremely limited so don’t miss out! Been learning The BIG APPLE at Manchester Lindy for the last month? Here’s your chance to put it all together! Taina is teaching the WHOLE ROUTINE on Sunday 1st March! “The classic & super popular Big Apple routine from Keep Punching!!! Note the Sunday friendly starting time of 1pm! Text or email to register, you can pay on day! 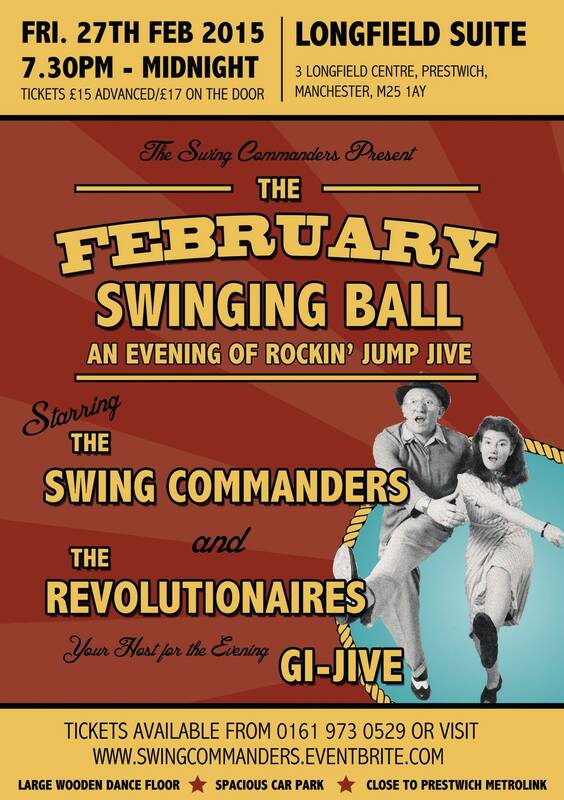 ML dancer Daisy is performing with her band, the Swing Commanders in Prestwich! 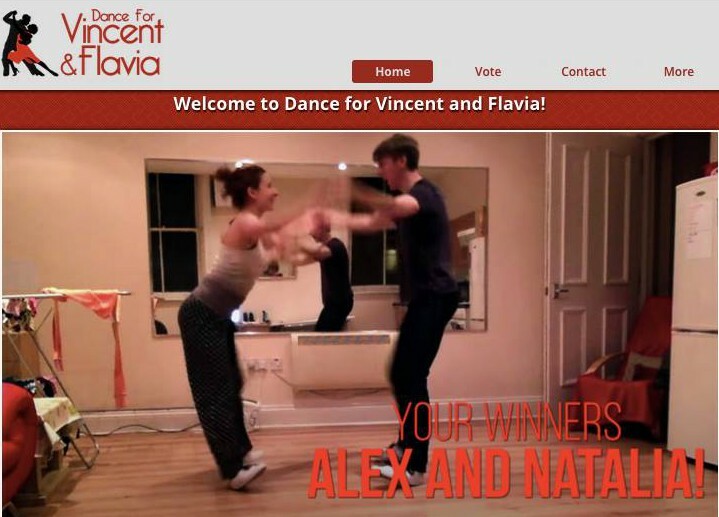 Please go vote for Alex and Natalia in this online competition (you can even do it from multiple devices!) as not only are they the only couple of the three dancing Lindy Hop, but the whole thing is improvised social dancing – no choreo, no costumes, no tricks, not even a fancy dance floor. Just their home, their skills, and their pyjamas. And great musicality!No need to register, just go click the little buttons! Only one hour to go! UPDATE: They WON! Whoop! Congratulations Alex and Natalia!